A 36-year-old taxi driver has been identified as the man behind a knife attack outside Paris today in which he stabbed his mother and sister to death and seriously injured a third person. Kamel Salhi, who had been on a terror watch-list since 2016, was shot dead by police after shouting ‘Allahu akbar’ during the attack in Trappes. 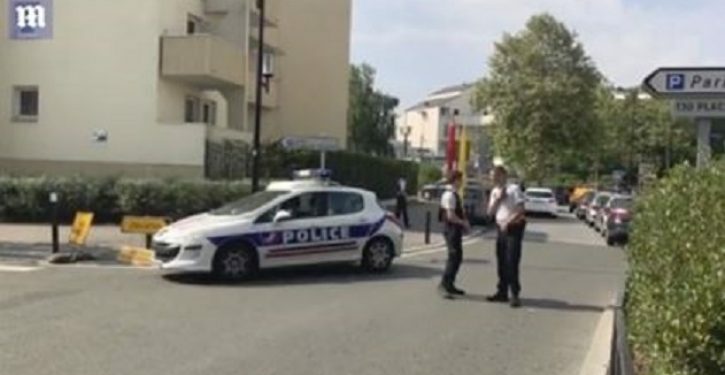 ISIS has claimed responsibility for the attack in the town 20 miles west of Paris, where more than 50 people have travelled to Syria and Iraq to fight for ISIS. The attack took place just hours after ISIS leader Abu Bakr al-Baghdadi was heard urging the terror group’s ‘holy warriors’ to continue fighting their enemies across the world, in a freshly released audio recording. However, local police believe the attack may have been caused by a ‘domestic argument’, although his motive is not yet clear.